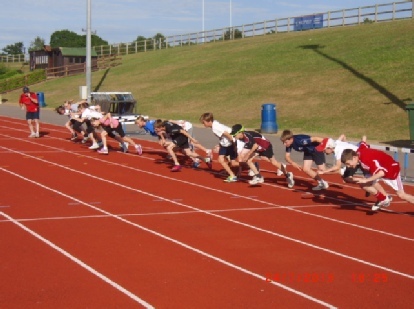 We are aware that there is limited Combined Events specific coaching in Somerset. The Academy continues to accept applications from established & developing Combined Events athletes. If you are interested, please contact us. Combined Events training sessions take place at 6pm on Wednesdays in Street during term time. If you would like to be considered for a place, please email us. Sportshall Athletics is a fun indoor version of track and field athletics for children between the ages of 4 and 16. It was created by George Bunner MBE to provide a safe and warm environment for young athletes to train during the cold and dark winter months. Congratulations to South West Indoor Championship medalists Ella, Heidi & Harry! Congratulations to lucy (4th & an england vest) & toby (winning decathlon team) who represented Somerset at the english schools combined events championships.